Posted by Null in Australia, Travel. I haven’t been to Brisbane yet but the TV commercial of Brisbane really attracted me. With the goal of attracting travellers and tourists, this TV commercial is the Queensland Government’s delicate initiative. The title song “Save Tonight” by Eagle Eye Cherry fitted the commerical so perfectly that I felt that the song was produced only for Brisbane. The advertisement is a classy one that demonstrates the town at night. An author of ninemsn travel website described Brisbane as more than just a sleepy town. She mentioned about the friendliness of the people, the islands, rain forests and the sub-tropical environment of the city. I hope I will visit Brisbane when I get some time. 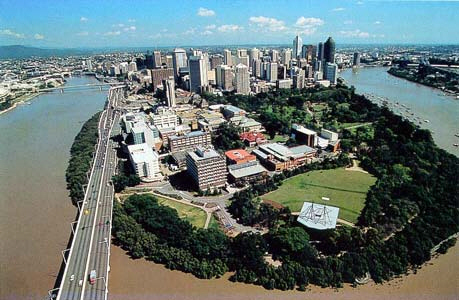 If you have classy travel choices in your mind for your holidays, list Brisbane as well. For information on places to visit in Brisbane you can visit a dedicated tourism blog on Brisbane “I love Brisbane“. I am sure I will prove you right. Check out the commerical.